Research More on this topic. 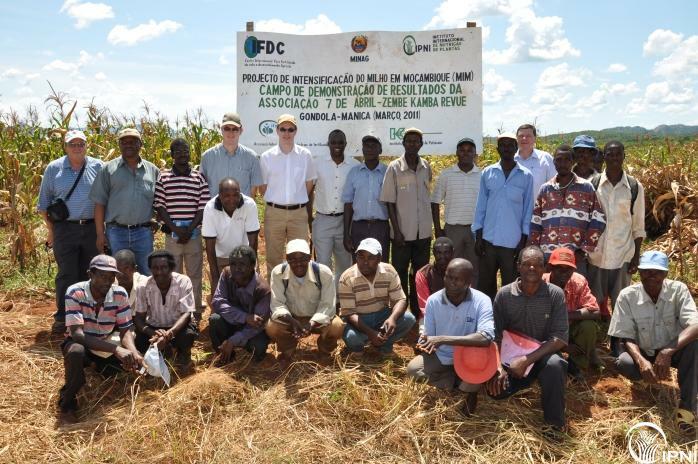 For 4 years, IPNI has been working in Mozambique with IFDC (an International Center for Soil Fertility and Agricultural Development) to help smallholder farmers improve their livelihoods through intensifying maize production. Our objective is to demonstrate the use and value of fertilizers and other ‘best agricultural practices’ (i.e. 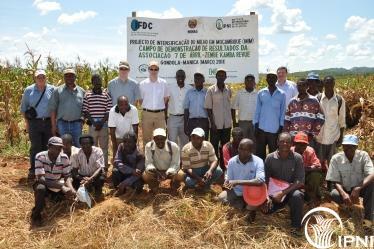 improved seed, crop protection and tillage system) to help Mozambican farmers move from subsistence to commercial farming. 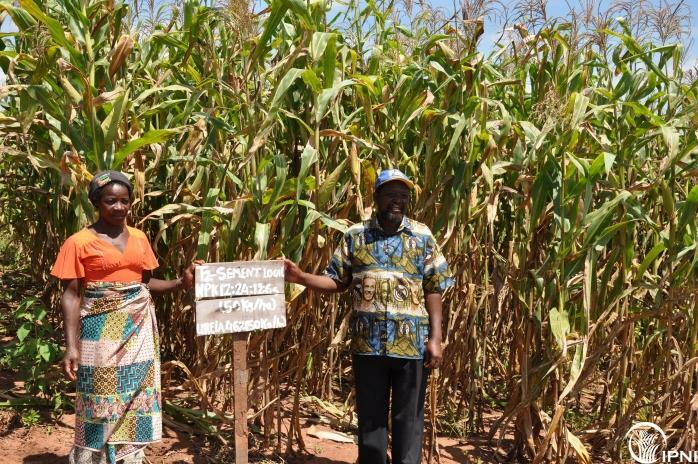 This project compliments regional IFDC activities linking farmers with agri-input suppliers and traders, NGOs, farmers’ organizations, extension services, and other partners, thus strengthening the value chain of maize production in the country. Demonstrations evaluating agronomic and economic benefits of hybrid seed, NPKS fertilizer, fertilizer rates and conservation agriculture have been implemented on high potential and productive farming areas in Manica and Sofala Provinces in Central Mozambique and Zambezia Provinces in Northern Mozambique. Maize yields were higher for hybrid maize which yielded 1.2 t/ha without fertilizer compared with 0.7 t/ha for farmer saved seed. The application of NPKS fertilizer and hybrid seed tripled maize yields and increased income by US400 from that of the normal practice of farmers planting saved seed and not using fertilizer. Conservation tillage and use of herbicides to control weeds reduced costs of production by 30% compared to conventional tillage. However, yields under conservation tillage were on average 20% lower than those under conventional tillage due to poor weed control and this resulted in lower net income for conservation tillage. The national average production for maize in Mozambique is less 1 t/ha, and fertilizer use in maize production less than 5 kg/ha. 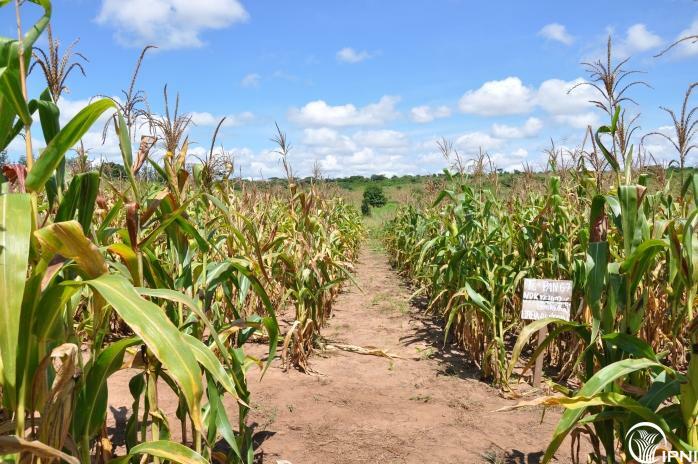 The results from the demonstrations showed that the yields can be increased to 3 t/ha with moderate rates of NPKS fertilizer and hybrid seed, indicating good prospects for maize production intensification. The International Fertilizer Industry Association (IFA) and the International Potash Institute (IPI) are also providing financial support for this project.